I love reading 18th century recipes but have never been brave enough to try to actually use one. For one thing, the quantities of ingredients used are staggering to a modern cook, with recipes often including multiple pounds of butter. It’s very clear that they weren’t quite as health-conscious as we are today. Luckily, Colonial Williamsburg’s Historic Foodways program has a blog called “History is Served: 18th-Century Recipes for the 21st-Century Kitchen,” on which they publish both original recipes and adapted versions for modern cooks and kitchens. So, if you’ve been craving cookies, try this recipe for gingerbread (and maybe deliver some to my office). The Hammond-Harwood House opens for the season this Saturday, April 6 at 12pm. In preparation for opening day, my fellow intern Brianna Arnold and I rotated the objects in the exhibit gallery. The overall goal of this redesign was to provide a better introduction to the House for visitors and give them a glimpse of what they will encounter on the tour. 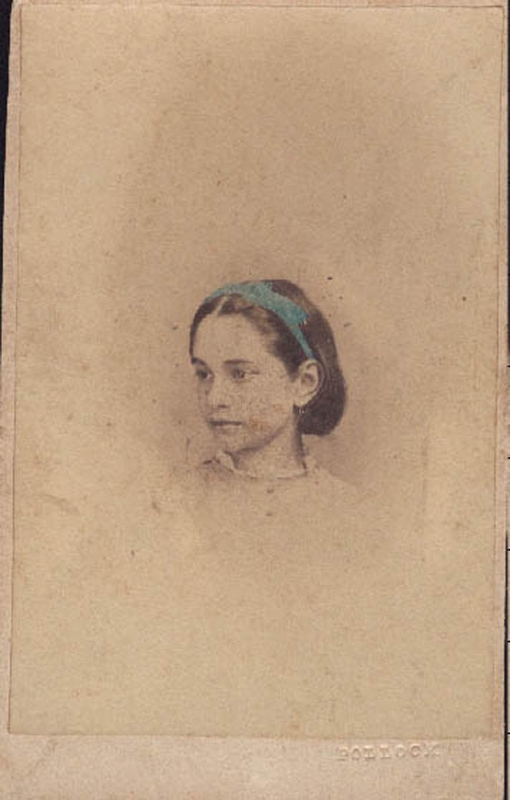 After many hours scouring our collections, three themes emerged: occupants of the Hammond-Harwood House, highlights from the collection, and architecture. One section of the gallery focuses on the history of the occupants of the House with examples of family crests, a visual timeline of the owners, and items owned by the last occupants, Hester and Lucy Harwood. This will help visitors to understand the historical timeline of the House and make the information presented in the tour more relatable. Highlights from the collections present visitors with examples of the decorative and fine arts they will encounter within the House. The architecture section introduces the visitor to one of the key elements that makes the House historically significant. The Hammond-Harwood House is one of the best examples of American colonial architecture and the new exhibit gallery offers information on the House’s architectural details and history. 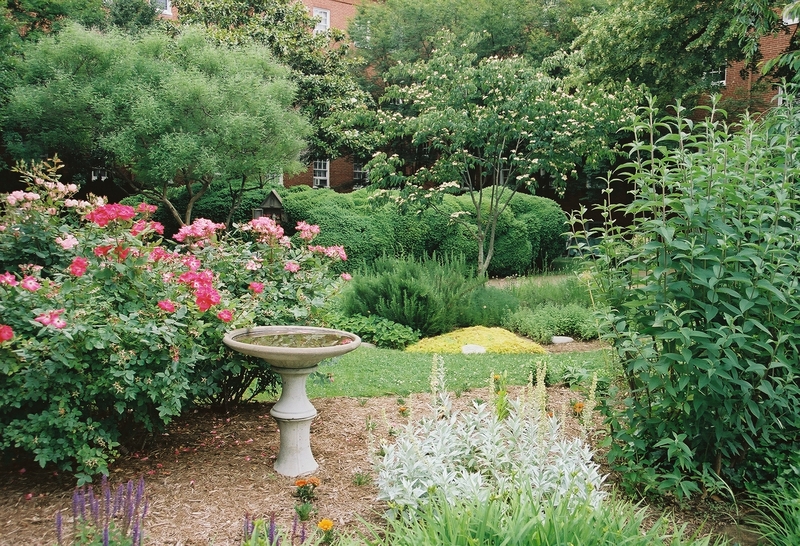 We hope the new exhibit gallery will enhance your experience at the Hammond-Harwood House. So, starting this Saturday, we hope to see you there! 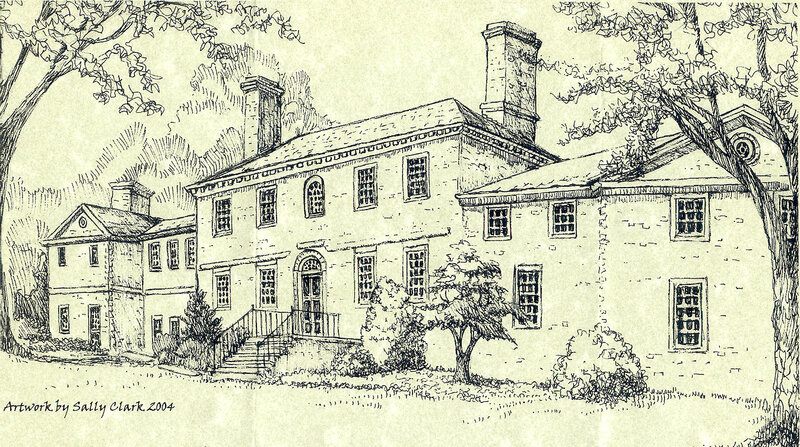 The Hammond-Harwood House was featured on last night’s episode of Chesapeake Collectibles on Maryland Public Television. In case you missed our moment in the spotlight, the full episode is available here. The Albany Cookie or cake is a simple sugar and cinnamon cookie that became a Christmas treat in early colonial times in tidewater Maryland. It was such a part of the holiday season that it persisted in many families well into the late twentieth century. While it is delicious, it is by today’s terms a very basic cookie. On the Eastern Shore it was made by the Goldsborough family at Otwell so far back that its origin and the reason for the name are obscure. When one of the Goldsborough daughters married a member of the Holliday family at Readbourne on the Chester River, the cookie went there. But it was also used by the Lloyds and probably many families all around the Bay. Perhaps the fact that cinnamon and sugar were precious commodities in early colonial days is the reason for its popularity. It is an easy cookie to make. Because it is formed into a bow (or pretzel) shape, the making of the cookie can become a family event. Children from 5 or 6 on can shape their own cookie for baking. If you want to sample an historic holiday specialty try this recipe. It will be in the new edition of the Maryland’s Way cookbook… It is good any time of the year! 2 oz. cinnamon (10 tablespoons), salt, granulated sugar to roll cookies in. Mix flour, cinnamon, and salt in a bowl. Dissolve soda in the cream in measuring cup. Cream the softened butter, add brown sugar and beat well. Add egg and beat well again. Alternately add flour and milk, mixing until all ingredients are incorporated. A pinch of salt may help. Cover the dough in a bowl and cool overnight. To bake, divide dough into about 8 or 10 pieces. Take out one piece at a time, pinch off a small piece and roll on a sugar coated board with hands till about the shape and size of a pencil, coating the surface with the sugar. Loop the ends around to overlap the center of the roll making a bow or pretzel shape, and place on ungreased cookie sheet. Bake at 375 degrees for 12-15 minutes. Let cool, then rap on underside of cookie sheet to loosen them. Enjoy a traditional Eastern Shore Christmas treat from an early era when cinnamon and sugar were scarce. 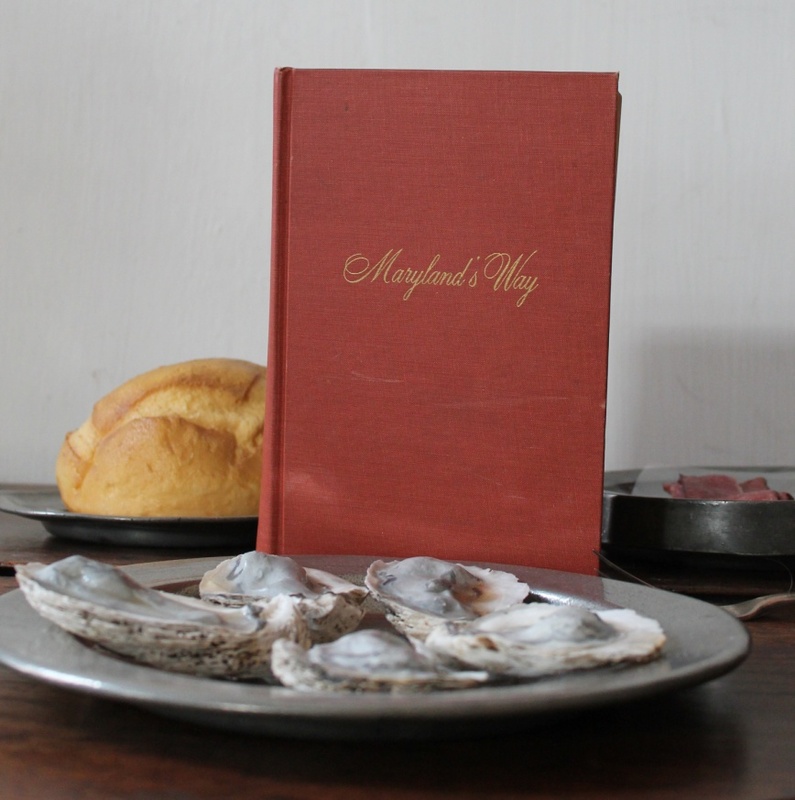 This year, the Hammond-Harwood House will be issuing the 50th Anniversary Edition of the Maryland’s Way Cookbook, which was compiled in 1963 by Hope Andrews and Francis Kelly as a fundraiser to support the House. This classic of Chesapeake cooking has inspired cooks ever since, and we’re thrilled that it will once again be available to everyone who wants to make crab cakes, corn pudding, and chocolate cake. And in case you’d like to make that chocolate cake this weekend, here is the recipe for Maryland Fudge Cake, which was contributed to the cookbook by Miss L.C. Claude. Cream butter and sugar. Melt chocolate over hot water. Sift flour and salt. Beat eggs very light. Combine ingredients, adding vanilla and walnut meats. Mix well, and spread on paraffin paper in a shallow pan. Bake 10 minutes in a hot oven at 400 degrees. Ice and cut in squares. Icing: 2 teaspoons butter, 1 cup powdered sugar, 2 tablespoons cocoa, 3 tablespoons or less boiling coffee. Cream butter and sugar, add cocoa, then coffee gradually until of spreading consistency.